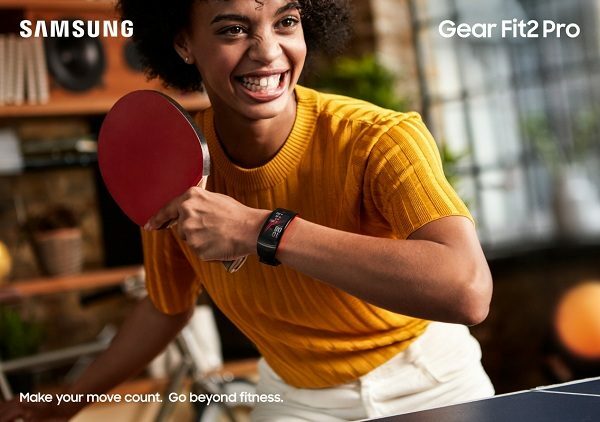 “At Samsung, we celebrate the everyday athlete – whether you’re going for a light jog, or training for your next triathlon. We have a long history of embracing choice and innovation, and our wearables are designed to help consumers of varying fitness levels meet their goals and aspirations”. 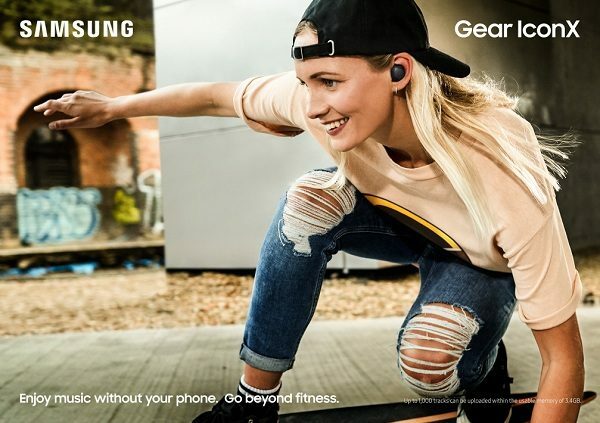 Back in August 30, 2017, Samsung dropped on serious news for fitness buffs at the IFA!!! The IFA or Internationale Funkausstellung Berlin, which runs from 31 August to 5 September 2018, is one of the oldest industrial exhibitions in Germany. Between 1924 and 1939 it was an annual event, but as from 1950 it was organized on a two yearly basis until 2005. 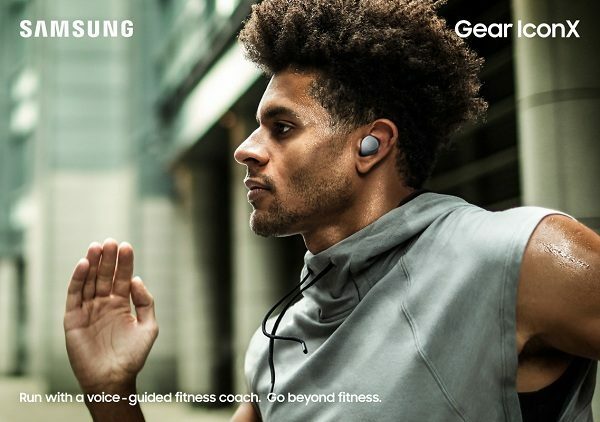 Samsung’s new Gear devices were designed to let consumers get the most out of their day, and help them live a healthier and well-balanced life. The Gear Sport is a sleek and versatile fitness-focused smartwatch that is water resistant. The Gear Fit2 Pro is an upgraded GPS sports band with smart features and the Gear IconX is a second generation of the company’s groundbreaking cord free earbuds. Get a first look at Samsung’s new Gear wearables in the official trailer available on their Official Samsung Mobile YouTube Page. So what new with these fitness trackers and a pair of cord free earbuds? 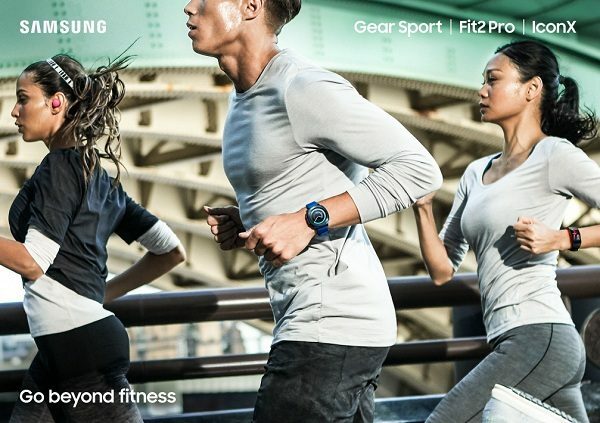 Samsung, in updating these products, has created new capabilities for Gear Sport and Gear Fit2 Pro. Gear Sport and Gear Fit2 Pro both have Industry-leading Water Resistance and Swim Tracking, which makes the Gear Sport and Gear Fit2 Pro ideal companion for any swim – from laps to playing in the pool. These devices are 5 ATM certified for water resistance. it’s also packing Speedo’s latest swimming training app, Speedo On, allowing the Gear Sport and Gear Fit2 Pro also allow you to easily track key swim metrics including lap count, lap time, stroke type and more. Samsung has also made some premium partnerships with Under Armour and Spotify. Both devices provide access to Under Armour’s fitness apps including Under Amour Record, MyFitnessPal, MapMyRun and Endomondo for activity, nutritional and community-based functions. Spotify’s Offline mode lets you listen to your favorite music online, offline or even without your smartphone so you can enjoy your favorite tunes regardless of location. This makes the Gear Sport and Gear Fit2 Pro personalized motivation that you can customize to your own wellness plan with tailored goals and alerts. Designed with military level-durability, it can handle a wide-range of environments. With its sleek, ergonomic form that can be worn in a variety of colorful and easily changeable standard 20mm straps, it is perfect for any occasion so you can effortlessly transition from the gym to a night out with friends. In addition to the new swim and heart rate monitoring capabilities, the new Gear Fit2 Pro features advanced built-in GPS tracking to capture your run or ride with accurate activity tracking. Gear Fit2 Pro’s Super AMOLED curved 1.5-inch display and a high-resolution color touchscreen make real-time updates and notifications easier to read. The all-new secure, ergonomic band is light weight and comfortable to use for all activities. Available in Black and Red, its versatile design also makes it a stylish accessory. IconX cord-free earbuds let you effortlessly listen to your favorite music – making your daily commute more enjoyable or helping you get more from your workout. The updated design comes in Black, Gray and Pink and is even more ergonomic and lightweight so they are effectively secure, comfortable and stylish to use. Music can be enjoyed on and offline by transferring songs from a Samsung smartphone or PC, or accessing your favorite tunes through Bluetooth connectivity. The earbuds are also your newest connection to Bixby. With a simple tap and hold of the earbud you can use your voice to control your music or your phone – without even having it in your hand. With a fast-charging and improved battery life of up to five hours of streaming and seven hours of standalone music playing, and up to 4GB of internal storage, you can enjoy a seamless and fully standalone music listening experience. For the fitness enthusiast, the Gear IconX automatically tracks your running routines, and also features standalone Running Coach which can be activated by simply tapping the earbud to provide in-ear audio exercise status updates –in real-time and without your phone. 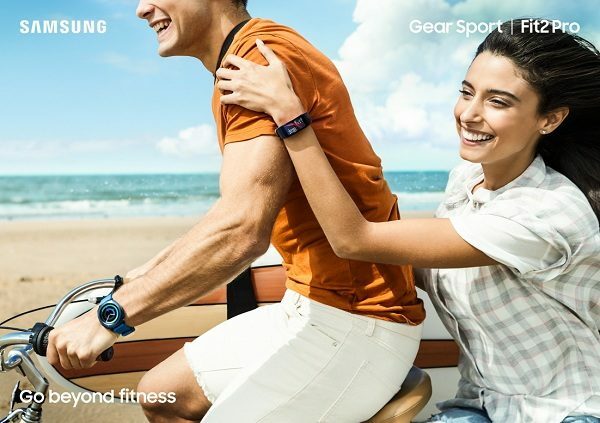 Samsung’s latest products, the Gear Sport, Gear Fit2 Pro are personalized motivation that you can customize to suit your fitness goals and needs.